Match ends, Fortuna Düsseldorf 2, Borussia Dortmund 1. Second Half ends, Fortuna Düsseldorf 2, Borussia Dortmund 1. Jean Zimmer (Fortuna Düsseldorf) wins a free kick on the left wing. Corner, Fortuna Düsseldorf. Conceded by Marco Reus. Benito Raman (Fortuna Düsseldorf) wins a free kick in the defensive half. Attempt blocked. Lukasz Piszczek (Borussia Dortmund) left footed shot from outside the box is blocked. Assisted by Mario Götze with a headed pass. Substitution, Fortuna Düsseldorf. Rouwen Hennings replaces Dodi Lukebakio. Corner, Borussia Dortmund. Conceded by Kaan Ayhan. Goal! Fortuna Düsseldorf 2, Borussia Dortmund 1. Paco Alcácer (Borussia Dortmund) header from very close range to the bottom left corner. Assisted by Lukasz Piszczek. Offside, Borussia Dortmund. Marcel Schmelzer tries a through ball, but Marco Reus is caught offside. Christian Pulisic (Borussia Dortmund) wins a free kick in the attacking half. Attempt saved. Abdou Diallo (Borussia Dortmund) header from the centre of the box is saved in the centre of the goal. Assisted by Jadon Sancho with a cross. Corner, Borussia Dortmund. Conceded by Takashi Usami. Kevin Stöger (Fortuna Düsseldorf) is shown the yellow card for a bad foul. Attempt missed. Kevin Stöger (Fortuna Düsseldorf) left footed shot from outside the box is close, but misses to the right. Assisted by Matthias Zimmermann. Attempt blocked. Mario Götze (Borussia Dortmund) right footed shot from the centre of the box is blocked. Attempt saved. Dodi Lukebakio (Fortuna Düsseldorf) left footed shot from outside the box is saved in the top left corner. Assisted by Jean Zimmer. Attempt blocked. Marco Reus (Borussia Dortmund) right footed shot from a difficult angle on the right is blocked. Assisted by Jadon Sancho. 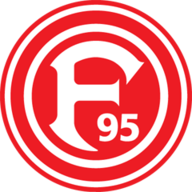 Substitution, Fortuna Düsseldorf. Adam Bodzek replaces Marcel Sobottka. Christian Pulisic (Borussia Dortmund) is shown the yellow card for a bad foul. Foul by Christian Pulisic (Borussia Dortmund). Substitution, Borussia Dortmund. Paco Alcácer replaces Thomas Delaney. Substitution, Borussia Dortmund. 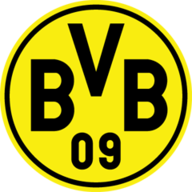 Jadon Sancho replaces Jacob Bruun Larsen. Attempt blocked. Thomas Delaney (Borussia Dortmund) left footed shot from outside the box is blocked. Assisted by Jacob Bruun Larsen. Goal! Fortuna Düsseldorf 2, Borussia Dortmund 0. Jean Zimmer (Fortuna Düsseldorf) right footed shot from outside the box to the top left corner. Assisted by Takashi Usami. Marcel Schmelzer (Borussia Dortmund) wins a free kick on the left wing. Attempt blocked. Marcel Schmelzer (Borussia Dortmund) right footed shot from outside the box is blocked. Assisted by Marco Reus. Second Half begins Fortuna Düsseldorf 1, Borussia Dortmund 0. Substitution, Borussia Dortmund. Ömer Toprak replaces Manuel Akanji because of an injury. First Half ends, Fortuna Düsseldorf 1, Borussia Dortmund 0. Offside, Borussia Dortmund. Christian Pulisic tries a through ball, but Mario Götze is caught offside. Attempt missed. Takashi Usami (Fortuna Düsseldorf) right footed shot from very close range misses to the left. Assisted by Jean Zimmer with a cross. Marcel Sobottka (Fortuna Düsseldorf) wins a free kick in the defensive half. Attempt saved. Mario Götze (Borussia Dortmund) right footed shot from the centre of the box is saved in the bottom left corner. Assisted by Jacob Bruun Larsen. Oliver Fink (Fortuna Düsseldorf) wins a free kick on the right wing. Goal! Fortuna Düsseldorf 1, Borussia Dortmund 0. Dodi Lukebakio (Fortuna Düsseldorf) left footed shot from outside the box to the bottom left corner. Assisted by Kevin Stöger following a fast break. Dodi Lukebakio (Fortuna Düsseldorf) wins a free kick in the defensive half. Attempt blocked. Axel Witsel (Borussia Dortmund) right footed shot from outside the box is blocked. Attempt missed. Marco Reus (Borussia Dortmund) right footed shot from the centre of the box is close, but misses to the right. Assisted by Mario Götze. Corner, Fortuna Düsseldorf. Conceded by Abdou Diallo. Attempt blocked. Jean Zimmer (Fortuna Düsseldorf) right footed shot from the right side of the box is blocked. Assisted by Dodi Lukebakio. Oliver Fink (Fortuna Düsseldorf) wins a free kick on the left wing. Attempt missed. Takashi Usami (Fortuna Düsseldorf) left footed shot from the left side of the box is close, but misses to the left. Assisted by Oliver Fink. Takashi Usami (Fortuna Düsseldorf) wins a free kick in the defensive half. Attempt blocked. Dodi Lukebakio (Fortuna Düsseldorf) left footed shot from the left side of the box is blocked. Assisted by Takashi Usami.